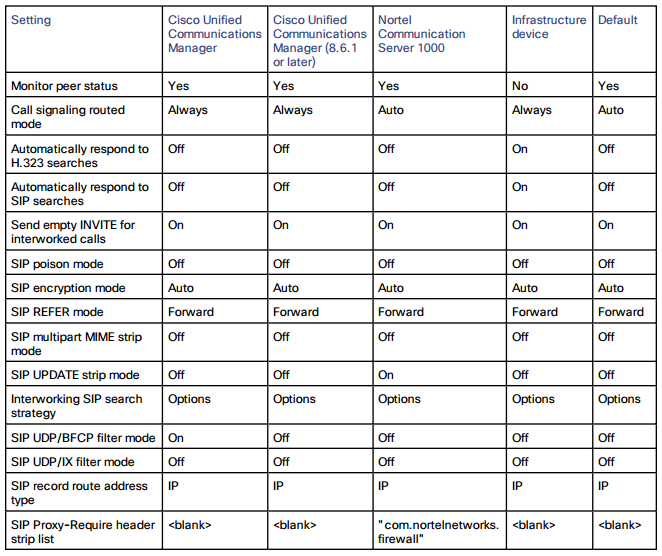 Recently I've come across a few instances of content sharing in various Cisco video conferencing (VC) environments that have all been related to the same misconfiguration. Specifically, the environments where there is devices hanging off/behind a VCS:C or Expressway-C with a zone to a CUCM 10.5 cluster that has VC endpoints registered to it. Calls traversing the zone/trunk result in issues with BFCP. This results in content being sent over the main video channel or in the case of android based DX80's the button to share the PC does not even show as an option during the call. The misconfiguration is simple to identify with a packet capture/trace. The below were captured on a CUCM cluster where a DX80 was locally registered. The DX80 had joined a meeting on a Cisco TPS hanging off a VCS:C that was trunked to the CUCM cluster. This portion of trace is in the INVITE message from the DX80 advertsing the UDP/BFCP channel. And then we see later the 200 OK from the VCS:C. Which immediatly shows the issue, highlighted in bold. This comes down to how the VCS:C/Expressway-C zone has been configured in each instance. Below is a screenshot of the zone configuration for one of the problem environments. As shown in the blue rectangle, the Zone profile is currently set to Cisco Unified Communications Manager; herein lies the cause of the problem. 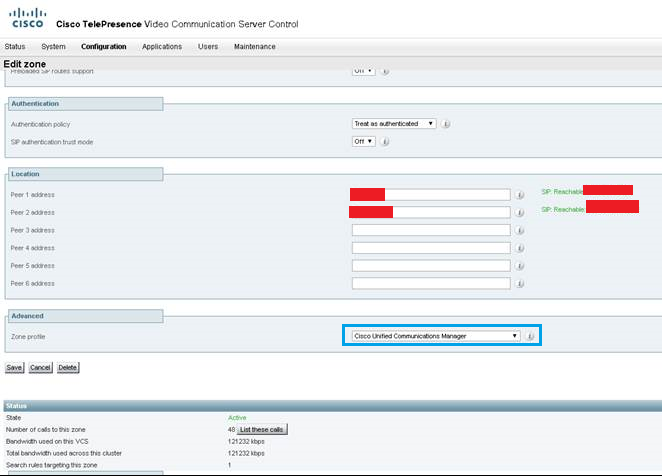 With this configuration the VCS:C has enabled the zone profile parameter SIP UDP/BFCP filter mode with a value of On. For details on what each of the Zone profiles does, refer to the VCS/Expressway administrator guide. For reference here I've copied the table out of the guide. In all instances I've encountered with CUCM 10.5+ and VCS/EXP versions X8.6+, the Zone profile should be set to Custom with the only custom setting being Call signaling routed mode set to Always. If you encounter a similar issue, please refer to the appropriate version configuration guides for your VCS/Expressway and CUCM for up-to-date configuration guidance. Created and maintained byy Jason Neurohr. Except where otherwise noted, all content is licensed under a Creative Commons Attribution 4.0 International License.